If you have not yet tried riding a jeepney or have tried a jeepney like Papua New Guinea and yet you wanted to try its new utility, let's go to Gerry's Jeepney. It is a restaurant at Maginhawa Street in Quezon City (Philippines, of course). The entrance of the restaurant greets its patrons with "sakay na!" Then, literally, you will see those jeepneys like an array in a terminal. Inside the restaurant are various signs for routes in Metro Manila. You have to get yourself first of the jeepneys so that you can eat inside those vehicles. 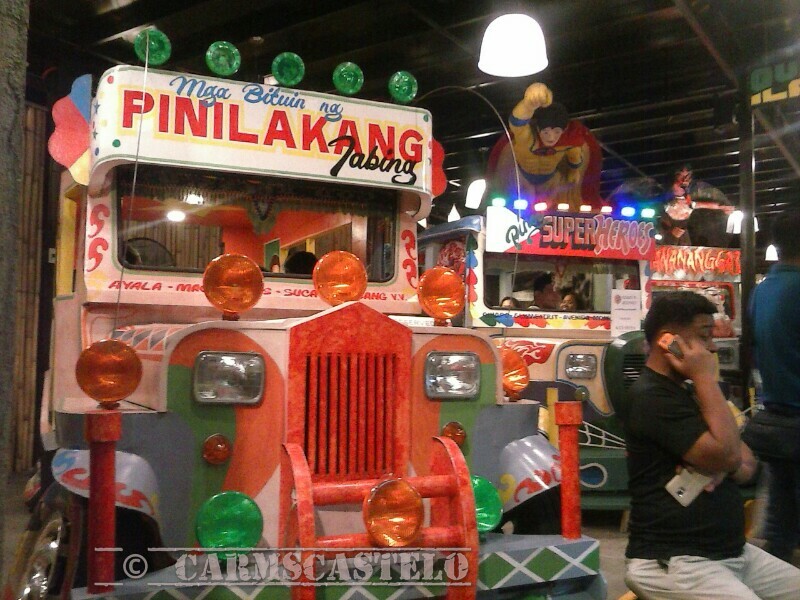 Inside the jeepneys are tables and chairs for the fine dining. However, if the jeepneys are full, you've got two choices. Either you wait or you eat inside the restaurant's main hall. If you can wait, better to have a seat inside the jeepneys. However, if you're hungry enough to wait for the jeepneys to be vacated, find a seat inside the restaurant then. Even the menu is named into various routes in Metro Manila. 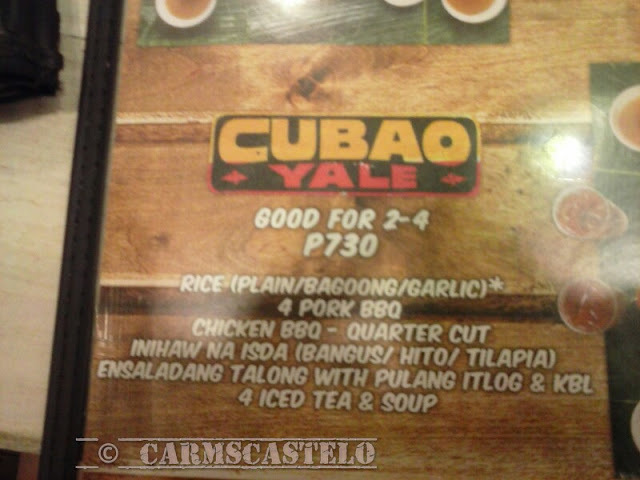 For instance, this menu good for two to four persons is called Cubao Yale, a jeepney route in Quezon City. There are indeed many artistic ways on how Filipino restaurant owners present their business to particular groups of customer. 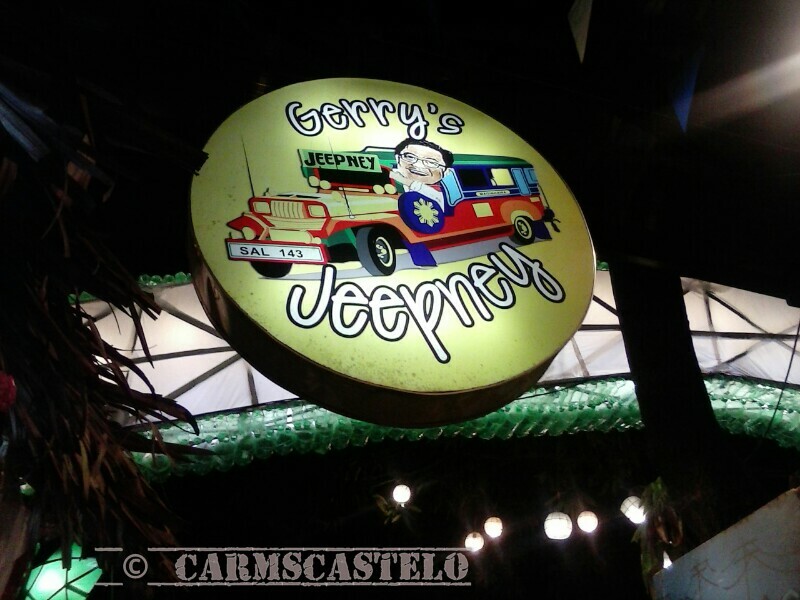 In Gerry's Jeepney, while Filipinos are familiar of the menu and the jeepneys, the experience is worth the try for both Filipinos and foreigners alike. Sakay na!